Can't make it to Australia? Watch total eclipse online! This view of the sun’s extremely hot outer atmosphere, called the corona, was captured by Edwin Aguirre and Imelda Joson from the South Pacific during the total solar eclipse on July 11, 2010. 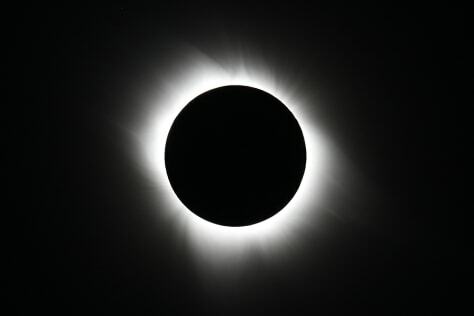 Note the moon’s pitch-black silhouette and the corona’s fine structural details.